Chickpea Curry is a dish typically seen in Northern India, where it is called Chana Masala. 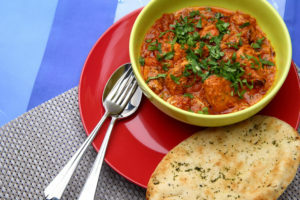 Traditionally, chickpeas, spices and tomatoes are simmered together for hours to produce a delightful sauce. 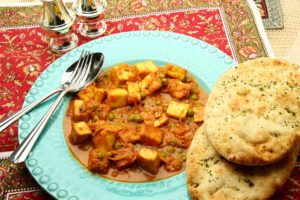 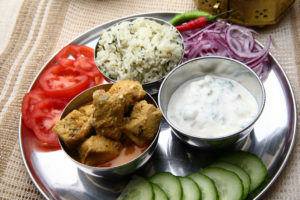 My recipe is easy and just as delicious – a rich masala vegetarian curry that is ready in minutes. 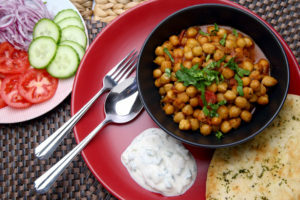 Chickpea Curry makes a great side dish served with any Indian bread, or pilau rice. 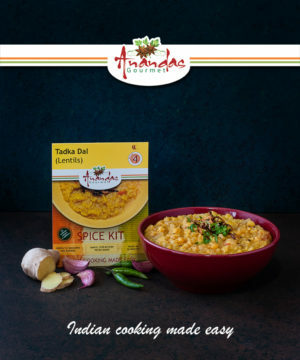 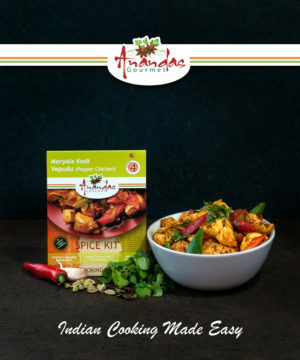 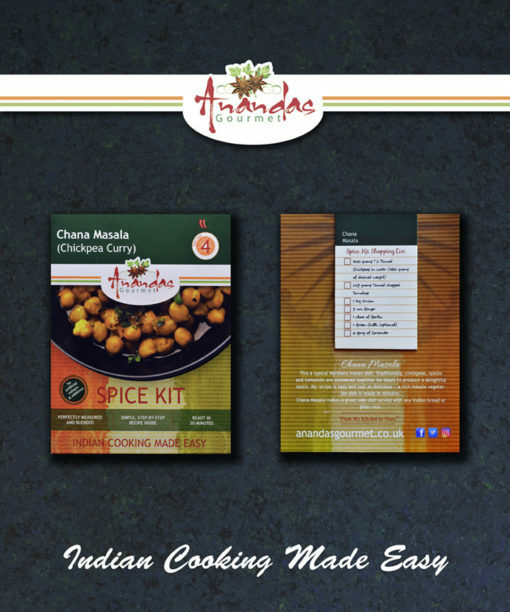 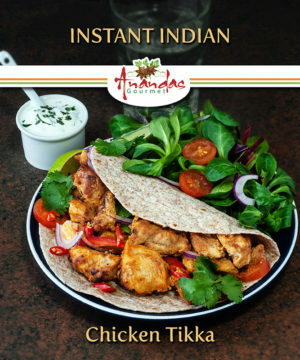 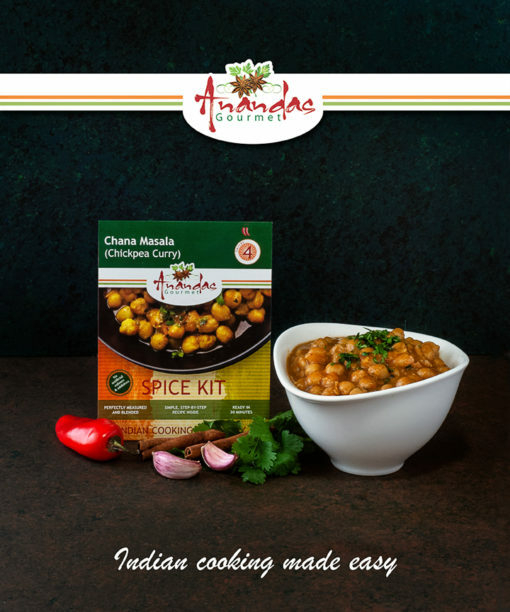 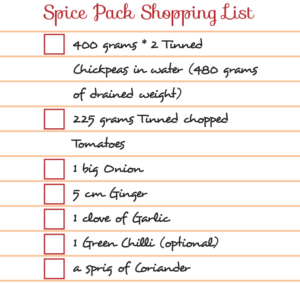 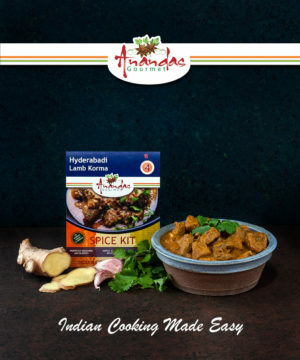 To experience the taste of Ananda’s Gourmet Chana Masala (Chickpea Curry) Curry, simply buy this spice kit, and use the shopping list below (its also on the back of the spice kit) to get the fresh ingredients, and follow the instructions in the kit.